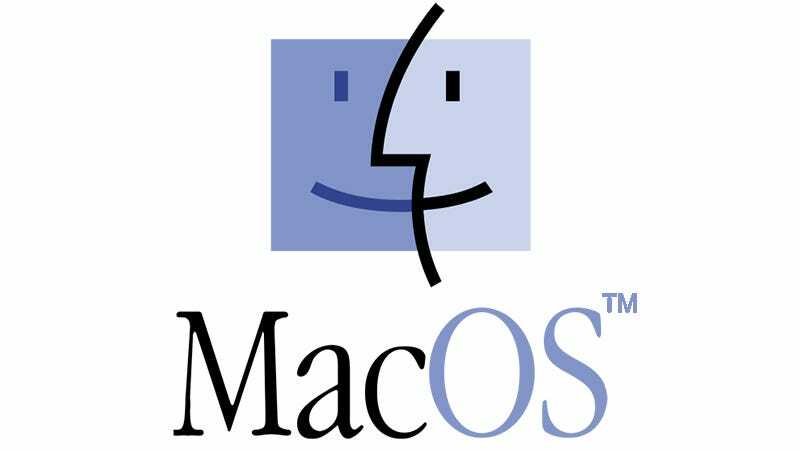 Before there was OS X, there was Mac OS. It’s a name with a ton of history and meaning, and if this slip-up in an Apple document is anything to go by, the company is heading back to its roots. 9to5Mac spotted a reference to “MacOS” in an Apple document about environmental policies. It’s since been changed to OS X, but an archived version of the page is still viewable. The change would also match up with a reference to MacOS in developer documentation seen last month. A couple typos is far from conclusive, but rebranding OS X to MacOS would make a ton of sense going forwards. Apple’s other operating systems are all named the same way: iOS, tvOS, and watchOS. MacOS brings consistency to branding, if nothing else. It’s also somewhat symbolic of the slow but sure integration of Apple’s different software operating systems. The long-rumored merger of iOS and OS X is still nowhere near, but features like universal search, app springboards and cross-device syncing have brought the two operating systems slowly but surely closer. The rumored announcement of Siri for Macbooks in June would only strengthen that relationship. Obviously, there’s no timeline for the naming change, but WWDC, where Apple traditionally announces big software updates, takes place in early June. But the real question remains: is this a simple name change, or an omen of a wholesale revamp of Apple’s desktop OS? Let the speculation begin.